ayal ninRa valvinaiyai anjinEn – I was scared of my sins which kept troubling me, without leaving me, entering wherever I entered and constricting me (this is considering the meaning for the term ayal ninRa to be ‘nearby’). Alternative explanation – I was scared as to what would I do if the sins, which had left me on my gaining knowledge about emperumAn, would come back (this is considering the meaning for the term ayal ninRa to be ‘at a distance’). anji uya nin thiruadiyE sErvAn – being scared and in order to get emancipated from those sins, I recited your divine names in order to attain your divine feet, which will not give any place for fear. It is not that I was capable of reciting your divine names. Due to fear and incapacity, in order to sustain myself I recited something. nayam ninRa – being very simple to recite. Alternatively, being an explanation for thirumanthram (the eight syllable phrase based on the name nArAyaNa). namO nArANA ennum sol mAlai kaRREn – I learnt about thirumanthram which reveals about him from this prabandham (mudhal thiruvandhAdhi, a collection of divine verses) which is an explanation for thirumanthram (at the beginning of this prabandham, AzhwAr had mercifully used the term “sol mAlai sUttinEn” (I adorned him with a garland of verses) in the very first pAsuram. Hence in the verse “sol mAlai kaRREn” he says that he spoke about this prabandham). 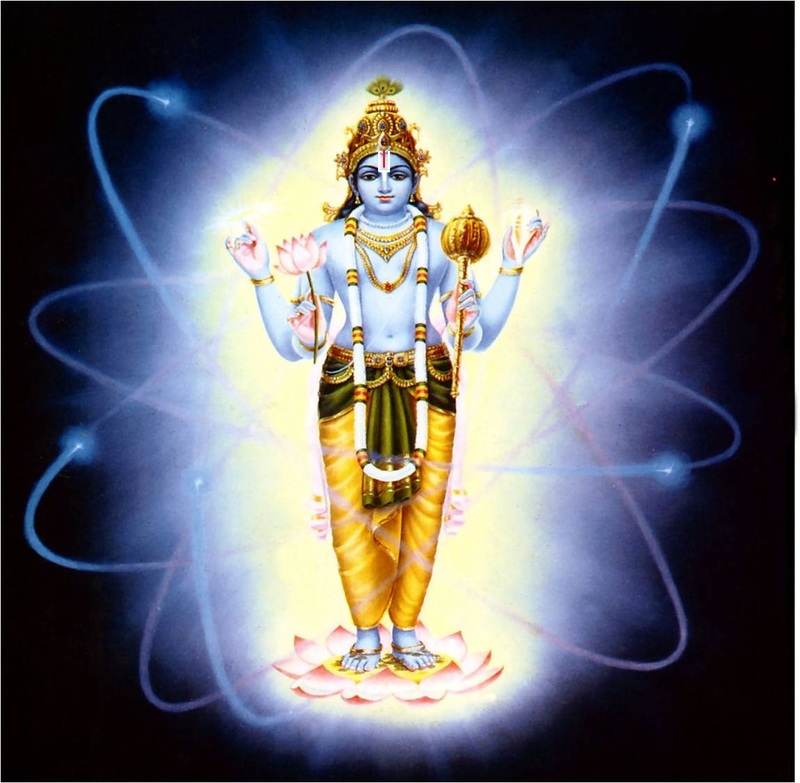 son mAlai kaRREn thozhudhu – I learnt about the garland of verses, and appropriate to that, I also worshipped him in line with the meaning of the verse. We shall take up the 58th pAsuram next. This entry was posted in iyaRpA, mudhal thiruvandhAdhi on August 6, 2017 by T N Krishnan.